New to the rental market this rarely available full one bedroom flat is presented in immaculate condition - it comprises entrance hall, huge modern dining kitchen with fantastic entertaining space, modern bathroom with shower over bath, double bedroom with fitted wardrobes , practical study or occasional guest room and bright living room with fabulous feature fireplace. 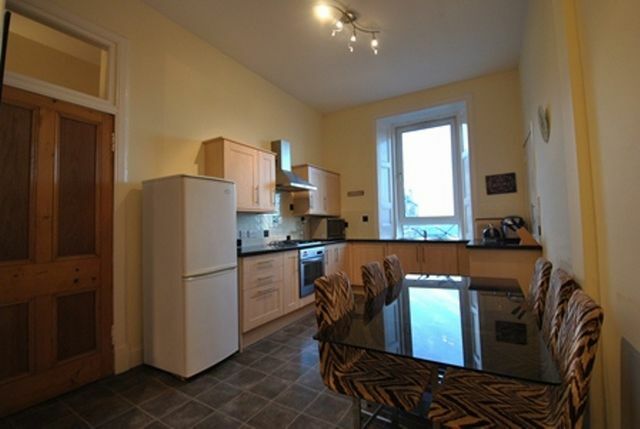 This property also boasts efficient GCH and double glazing throughout. It is presented in a clean and uncluttered style throughout with neutral decor and carpeting. Polwarth Gardens is located in the popular Polwarth area of Edinburgh which has great bus links into the city and beyond. Permit Parking. Energy Efficiency Rating: C. Landlord Registration Pending.